Volvo's Polestar S60 has a 350-hp engine. Volvo Cars is following Jaguar Land Rover and German rivals BMW and Mercedes-Benz in offering sportier versions of its regular models. The company has acquired Swed-ish race car maker Polestar's tuning division and will use the name for an expanded high-performance line to challenge Mercedes-AMG and BMW's M models. 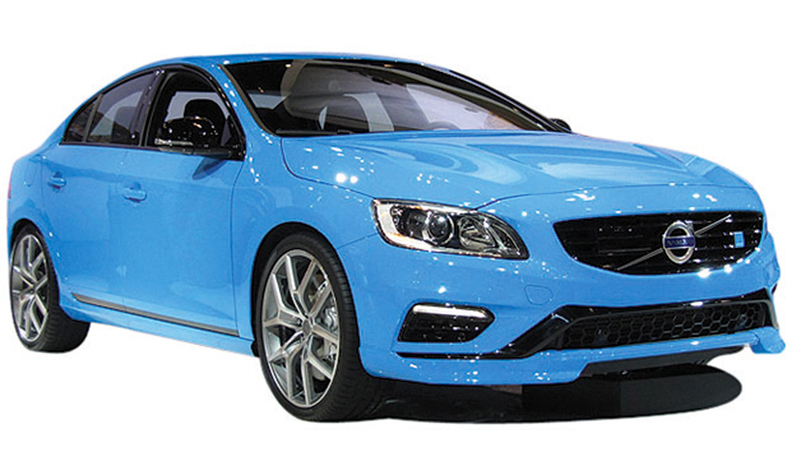 Volvo already sells Polestar-tuned versions of the V60 wagon and S60 sedan under an agreement signed in 2013. "We have decided to bring this experience to more Volvo drivers, placing the full resources of Volvo behind the development of Pole-star," CEO Hakan Samuelsson said in a statement. Polestar sales are set to as much as double to 1,500 cars in the medium term from 750 targeted for this year, Volvo said. Polestar, which only works with Volvos, uses performance-enhancing software and tunes cars to increase midrange engine performance by making changes to the gearbox and throttle response.